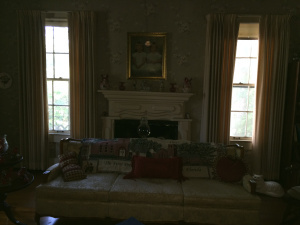 What a Coal-Burning Fireplace Can Teach You – Tell my story. So, an update on Emmett’s story development. It is all going well. I’m still in the Part I – Exposition chapter, but it is coming along nicely. I’m working on the part where Emmett comes home for Christmas from West Florida Seminary. His life is about to change in a few ways he didn’t expect. It is important that I get this section down right; here is where we get an understanding of Emmett’s character, as well as an introduction to the people closest to him, who define who he is. I have to rely on his interactions with them to inform this part of the story, as I don’t have his journal (yet) or scrapbooks (yet). The unfolding is slow. I’m learning not to fight that. To think carefully about what he might have felt/seen/smelled, even, in the Wilson parlor on Christmas Day is to convey that accurately to the reader. It is a struggle to slow down and savor the information; plus, I’ve had to backtrack here and there for details. 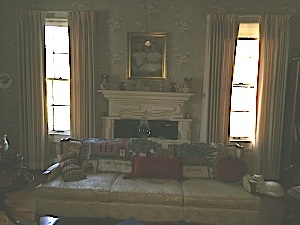 For example: In the parlor of the Wilson home in Chipley, there’s a coal-burning fireplace, original to the house. It would have been in use when Emmett was there, on Christmas Day, in 1900. Sorry that it is so dark. The coal burning fireplace has a sofa in front of it at present. Here’s another version of that photo, sharpened up a bit. I couldn’t get closer to the fireplace, unfortunately; the couch was pushed against the fireplace. The photo was taken in May, 2014, and the fireplace hasn’t been used in many years. That’s the original wood mantle. It has been painted more than once; so, I could not tell if there were old nail holes for hanging of stockings. 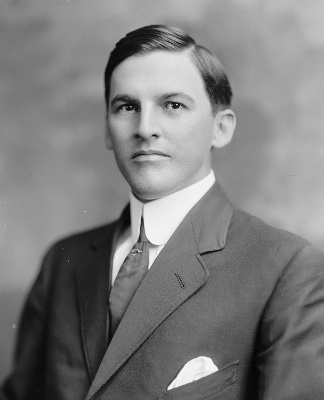 When Emmett moved into this house with his family, he was about 11; he might have still hung a stocking on the mantle at Christmas along with the younger siblings. As I mentioned in a post last year, the house had fireplaces in every room; two were wood-burning and the rest coal-burning. Imagine keeping several fireplaces going at once in winter, where you had a large family with all of the rooms being used at the same time, as would have been the case on Christmas Day, in 1900. Imagine feeling the heat it gave off in the Wilson parlor, along with the smell of it. Imagine the boys being responsible for bringing more fuel into the house as needed — Emmett being of those boys, of course. And then, as I think about that coal-burning stove, and how most of them were used at the same time, I see more clearly Emmett and his ‘role’ in that large family. He didn’t just show up back from school and stand around, being ‘waited on’ by his family — he was another member of that large family, given chores to do to help out while he was home. Honestly, I have to remind myself often that the pedestal was not Emmett’s usual placement when he was alive. The side-issue of a coal-burning fireplace is just one of those things that have given me pause as I structure the chapter. I used to resent these little side research distractions, but they are teachable moments in the process. And, as I teach research to my students, I want them to savor the side studies as much as they do the main topic. The side stories can give us a view of our subject we hadn’t considered before.